Please note — the following steps are performed while logged-in to an account with ‘Administrator’ privileges. After the security changes (outlined below) have been made then you can login to a ‘Standard user’ account. 1. 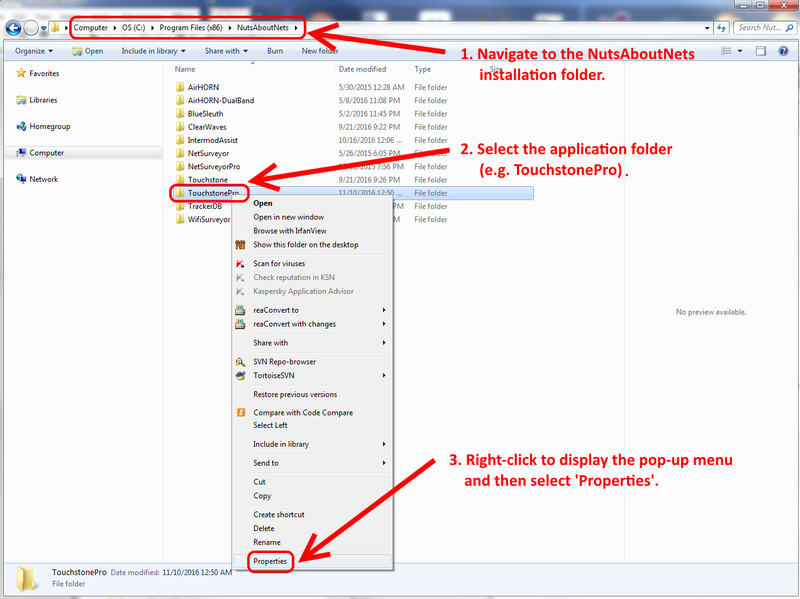 Using File Explorer, navigate to the ‘NutsAboutNets’ installation folder (usually located under C:\Program Files (x86)\NutsAboutNets). 2. Select the ‘TouchstonePro’ folder. 3. Right-click on the ‘TouchstonePro’ folder to display a pop-up menu. Select ‘Properties’ at the bottom of the menu. 4. Select the ‘Security’ tab. 5. Select the ‘Users’ Group. 6. Press the ‘Edit’ button to modify permissions for the ‘Users’ Group. 7. 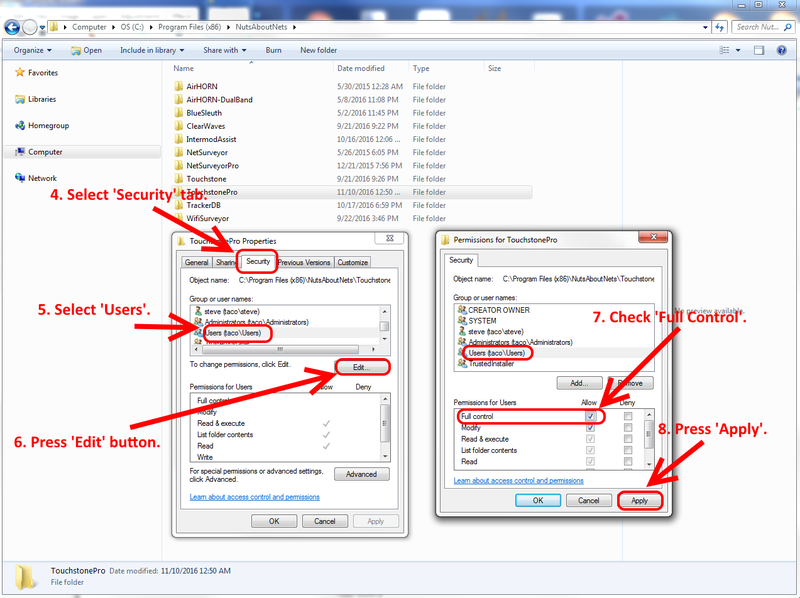 Check the ‘Full control’ checkbox.